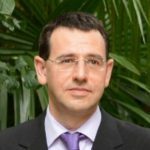 This page is intended to be an additional help to all who come to the conference. We do not want its duration to be a time limit in the use of its content. So that the congressmen do not waste time in pointing addresses, they will be provided the slides in the material of the congress. In addition, here you will find the links of additional examples and contents that may be related. This way we will make it easier for you to take care of yourself and enjoy the presentation. For this reason, this page will be updated until the end of the event. As a preview of the conference, you can then see two of the slides that will be part of the content. New Stain in the Topographic Area (TA) of the Spleen. 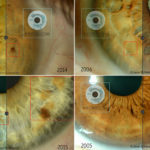 Increase in Pigmentation the iris (TA of the liver). New Stain in the Topographic Area (TA) of the liver. 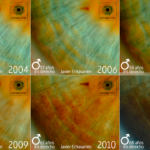 Evolution of a Pigmentation during 10 years. Updated initial image (11 years of difference). There are alterations to the iris. 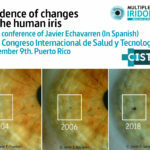 Changes in the iris (2nd). Additional information and links to supplementary images of the following cases will be activated during the conference (10/21/17). – Case # 1: Increased “Stain” in the Topographic Area (TA) of the left lung. Images with “slide parallax” effect. 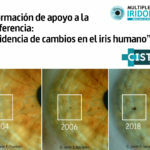 Differences of the left iris between 2011 and 2017. – Case # 2: Formation new sign “Stain” in the TA of the left lung. Images with “slide parallax” effect. 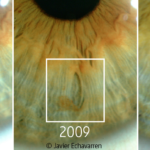 Differences of the left iris between 2008 and 2016. – Case # 5: Link to additional images. There are more photographs of this case at the following address. Including a video with the animation of the sequences during the years of evolution. – Additional information to Case # 6: Article with supplementary information. This is a different example of “Loss of Pigmentation”. In this case, it is not of physiological origin. It has been produced by friction in a surgical intervention. – Additional information to Case # 8: “Hereditary signs”. 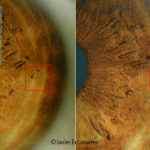 This article shows the photographs of the evolution of iridian signs in several sons of “Case # 8” in the same Topographic Area. – Case # 18: “Ghost Lacuna”. – Case # 19: Explanatory note. This example of formation of a new sign corresponds to the left iris of the same person that appears in case No. 5. This iridian sign is another of the consequences of Plumbismo. Stay tuned because we will keep updating content on this page.